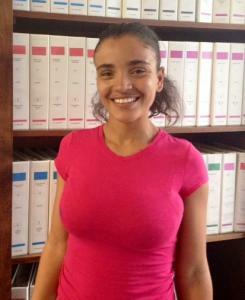 ONALISA ANDRADE - New Bedford Young Parents Program Success Story | Training Resources of America, Inc. I came to New Bedford from Cape Verde in 2008. I could not speak English, but went to New Bedford High School. I dropped out when I became pregnant. I now have a three year old son. I entered the Young Parents Program (YPP) operated by Training Resources of America (TRA) and it has helped me with my English and has given me a strong support system. The YPP teacher is very helpful in explaining everything and getting me to understand and succeed in the course work as I work toward getting my GED. With all of this consistency and support at YPP, I know I will succeed! I also have a mentor, provided by TRA, and this has been a great experience for me. When I first met my mentor, I opened up to her right away. She was so kind, loving, and compassionate that I felt comfortable telling her everything about myself and about the things that are happening in my life. It was almost like we had already known each other for a long time. She listened to me and offered advice and encouragement for problems I was having. When I am with her, I feel important. I feel I matter. I feel happy and I want to talk with her. I want to joke around and laugh with her and I don’t want to leave! Having a mentor is truly a great thing. Before I met my mentor I didn’t have anybody to help me or listen to my problems. No one was around to offer me solid advice or encouragement, but now I have that person! She has helped me to get my life on track. She has taught me the value of honesty, kindness, and responsibility and the importance of an education. My goal is to be a nurse and help others. TRA’s YPP has been and continues to be a great experience and is giving me the tools I need to get back on track and succeed in life. And I got a job in September 2013!